You need to know that the foot pain you have been having could be a sign of a condition that is much more serious in nature. 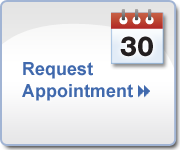 If you are concerned about foot pain in Bothell, you will want to think about making an appointment to see your podiatrist sooner than later. All you have to do is perform a search online or start flipping through a medical book, and you will see countless health conditions that are linked to the legs or feet in some manner. For example, you might have problems with your thyroid that can present with sensational effects on the nerves in your feet. There might also be degenerative lower back changes where the spinal cord nerves are irritated. This can also impact the health of your feet. This is a condition where there is a fatty substance called plaque that will build up throughout the arteries in your leg, which reduces blood flow to the lower legs and feet. PAD can also cause the calf muscles to cramp as you move around or you could be subject to foot wounds that will not heal properly. There are millions of people who have arthritis and other issues impacting their joins. Rheumatoid Arthritis happens when the immune system will attack the joint, leaving them swollen and painful. When it affects your feet, you will sometimes feel pain in your toes, and it can move through the rest of your feet and the ankle region. With gout, this is a condition known for causing foot pain as uric acid starts to accumulate in the body. The deposits tend to collect in the joints, mostly in the big toes, and often leads to pain that is tense and episodic. About 24 million people in America are diabetes sufferers, which is the build-up of excessive blood sugar. This increase in sugar can start to damage the feet’s blood vessels and nerves, leading to a decrease in sensation as well as blood flow that is compromised. Patients with diabetes are prone to poor circulation, numbness, and the chance for severe infections in the feet. When you are dealing with foot pain that seems to linger, you may have one of these underlying conditions. By setting up a time for a consultation with your podiatrist in Bothell, you will be able to dive further into your symptoms to see if there are treatment options available to get your health back on track. If you need help with foot pain in Bothell, Mill Creek Foot & Ankle Clinic can help. Call Dr. Hansen at (425) 375-2484 or Dr. Hall at (425) 482-6663.